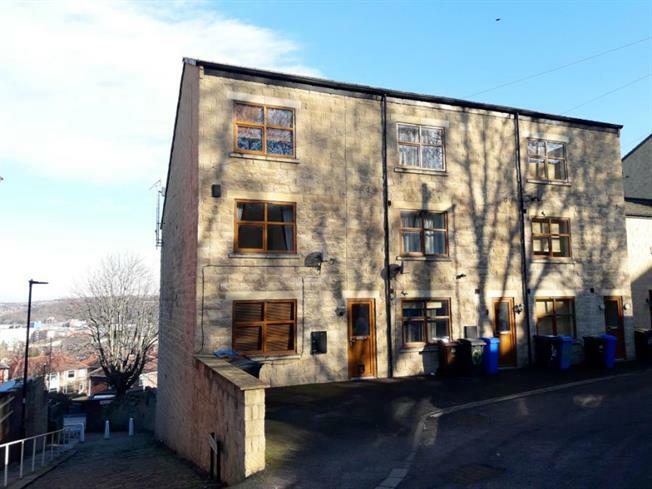 3 Bedroom Town House For Sale in Sheffield for £125,000. This property's price has dropped from £150,000 to £125,000. An excellent opportunity to acquire with no chain, this three bedroomed property located in the popular Woodview Court development in the heart of highly convenient Walkley. Offering accommodation over 3 levels , having double glazing, Ground floor lounge/kitchen, Bedroom and bathroom requiring a scheme of reinstatement on the first floor and two bedrooms and ensuite to the second floor. The accommodation comprises and entrance hallway with stairs to first floor landing. A lounge with fitted kitchen having a range of base and wall units. On the first floor, a Bedroom with window to the front, A bathroom requiring a complete scheme of re-instatement. On the second floor, the Master Bedroom with window to the front and boiler cupboard. Ensuite shower room with WC, wash basin and shower cubicle. Bedroom two with Velux style window to the rear. A viewing is recommended to appreciate the potential and size of accommodation on offer. Lease Term: 200 years from 1 January 2004. Service Charges are 674.20 per annum. Ground Rent is 200.00 per annum.